I havent posted anything on this blog in more than 2 years. Life has been hectic both professionally and personally ever since I took the Sounders job. 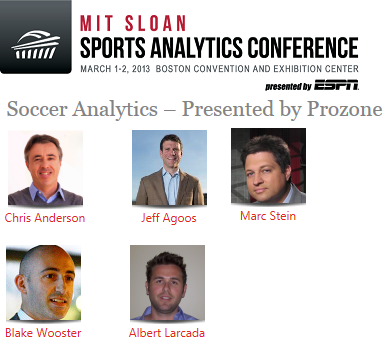 In February I was invited to be on the Soccer panel at the MIT Sloan Sports Analytics Conference #SSAC15. It was a great experience to be a part of the panel. Not only that it is a recognition of some of the work we have been doing at the Seattle Sounders but also because attending this conference in 2012 (thanks to @onfooty for encouraging me to go) was one of the origins and catalysts of my career switch. This back-story made it even more special to be on the #SSAC15 soccer panel. SSAC have uploaded the video of the panel. Posting the video to this blog represents a small “coming full-circle” moment for this blog and for me personally. I hope you enjoy it and looking forward to hear your thoughts and feedback. from Empirical Model-Building and Response Surfaces (1987) co-authored with Norman R. Draper, p. 424. Mr. Box’s quote is quite popular and used a lot these days. However, I am not sure if all those who quote it fully understand it. And that includes me. What I took away from the quote. A model is an approximation of a process that we don’t fully understand. We model processes to get a deeper understanding of the process itself. To build a model we use what we understand about a process and try to approximate (or sometimes ignore) what we dont know. All models are wrong because of the inherent approximation. But some could be useful because what we have “approximated (or ignored)” is not important to understand or replicate the process. “Relative simplicity” is an important virtue of a good model. By “relative simplicity” I mean the simplicity of a model compared to the actual process. For example, a “simple model” of Relativity theory for a physicist could still take me two lifetimes to understand. Math lends itself very well to represent these models. We test the usefulness of a model against the real process by giving identical inputs and comparing the outputs. This is easy in case of some models and not so easy in case of others. ( like verifying the existence of Higgs-Boson particle using the Large Hadron Collider that cost an estimated $9b to build). The game of football is a process. Over the years a lot of people have tried to improve our understanding of the game by building models based on what they understood with the data available to them. We have been collecting more and more information as we progressed. More information has led to the better understanding of the game and dispelling some of the myths. But it has also helped create “new myths” (or truths until they get proven wrong in due course of time). There are a lot of models out there for football. Some based on past results, some based on what happens in a game (events like shots, goals, final 3rd passes etc) and so forth. I dont quite agree with all of them. Some I agree with more than the others. What I look for in a model? A model should an understanding of the process; to be aware of what and how the process works. It doesn’t have to be comprehensive (because it is a model after all) but capture the essence of it.Example: If I want to build a model to predict the winner of a football game – I want my model to take into consideration how I win a game of football? By scoring more goals than the opponent. How do I score more goals? By taking a lot of (hopefully good) shots and not letting the opponent take good shots, How have the two teams have been doing in the run-up to the game and so forth. I can list 20-30 items and I am sure I still would have missed many things. The goal is to not to account for every factor but to identify the handful of factors that capture the essence or “signal” as Nate Silver calls it in his popular new book. I am skeptical of any model that does not understand the process that it is trying to be a model of. 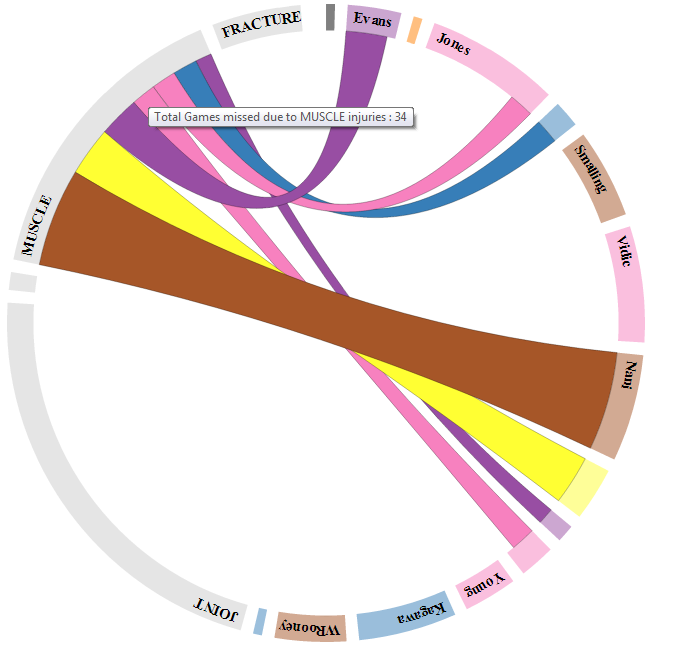 A model should factor in the nature of the underlying data from a process. For example: Based on Chris Anderson‘s analysis, number of goals scored in a game is not normally distributed. Something like that needs to be factored in if the model using goals scored as an input. This is probably more important for models making long term predictions because the inherent characteristics of data tend to manifest over a longer period of time than in a shorter period of time.Example: Probability of a getting 4 heads if you toss a coin 4 times is 6.25%. But if you repeat the experiment 5 times, you might get 4 heads once, twice, thrice, 4 times, 5 times or never. You might have to repeat the experiment thousands of times to see the probability of 4 heads converge to 6.25%. Building a good model is not trivial and is an iterative process. But if the first version of a model doesn’t address the above, it might be time for a rethink. MLS Playoffs: Does something need fixing? Seattle Sounders were eliminated from the MLS playoffs on Sunday night. I have seen a lot of discussion about MLS playoff format and its drawbacks in the past few weeks and more of it now that two lower seeds have made it to the MLS Cup final. Both 1st seeds, San Jose Earthquakes (Western Conference) and Sporting Kansas City (Eastern Conference) got eliminated in the conference semifinals by lower seeds LA Galaxy (4th seed) and Houston Dynamo (5th seed) respectively. LA eliminated Seattle (3rd seed) and Houston eliminated DC United (2nd seed) in the conference finals to reach the MLS Cup final. Is the MLS playoff format penalizing the top seeds by not giving enough weight to the regular season? Is the winner of MLS Playoffs the “best team” in MLS? Can MLS “improve” the playoff format? This post is a summary of my thoughts on the subject. However, since 2001 only 4 of 12 MLS Cup winners are 1st seeds and two 1st seeds played against each other in the final only twice. The “best team”, in conventional terms is the team with the best record at the end of the regular season. In most leagues around the world, the team with the best record at the end of the season is the “Champion”. In MLS, in 8 out of 12 seasons, the “best team” did not win the MLS Cup. How does MLS playoffs compare to other sports in the US? Success for 1st seeds in MLS is very similar to that of others leagues. If anything, 1st seeds do marginally better in winning MLS playoffs than in other leagues. Playoffs tend to level the field. 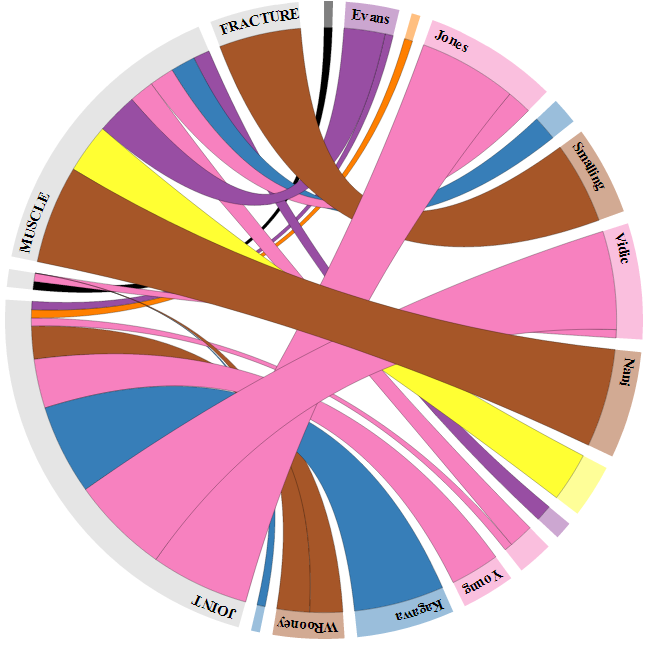 The possible impact of minor injuries, luck and random on-field events increases manifold. This implies that all the playoff teams start with a good chance (if not equal) of winning the playoffs. Regular season record is important to make sure a team qualifies for the playoffs. Once a team is in the playoffs, regular season record does not mean much. The sudden-death nature and the unpredictability of the playoffs generate excitement; keeps a larger segment of the fan base engaged in the sport for a longer period of time. It also tends to attract casual fans to follow the sport during the playoffs. This is reflected in the higher TV ratings of the playoffs compared to the regular season. As a league in its early stages of growth, MLS would love to maximize the excitement to get more people spend more time watching/following their league. This would translate into increased TV ratings that will help MLS negotiate better TV deals further along the way. No. The unpredictability we are seeing in MLS playoffs is an inherent characteristic of playoffs in general. Can MLS improve the current playoff format? It depends on the definition of “improvement”. If it means giving more chance of winning to the top seed, it would be at the expense of some of the excitement and unpredictability. Example 1:- Limit the playoff teams to 8 (or 6). With an 8-team playoff format, Houston would not have made it this year, With a 6-team format, neither Houston nor LA would have made it. Example 2:- If the aggregate is even after 2 legs, the higher seed advances. This is being used in Liga MX playoffs since 1996. However, only 6 1st seeds has won the “Liguilla” (Playoffs) since 2000 ( 6 in 34 – 17.6%). Please note that in México there are two half-seasons per year, each followed by a Liguilla. Based on the league’s growth and economic implications, I highly doubt they will go the route of reducing playoff teams. Trying the Liga MX playoff system won’t harm but I am not very sure if it is going to make that much of a difference. There are more ways the format can be tweaked than the two examples above. However, it might be very difficult to maximize excitement as well as give a higher chance of success for the higher seeds. While MLS may not be able to do much with the playoff format given the constraints, they can definitely do a better job of scheduling the playoffs. 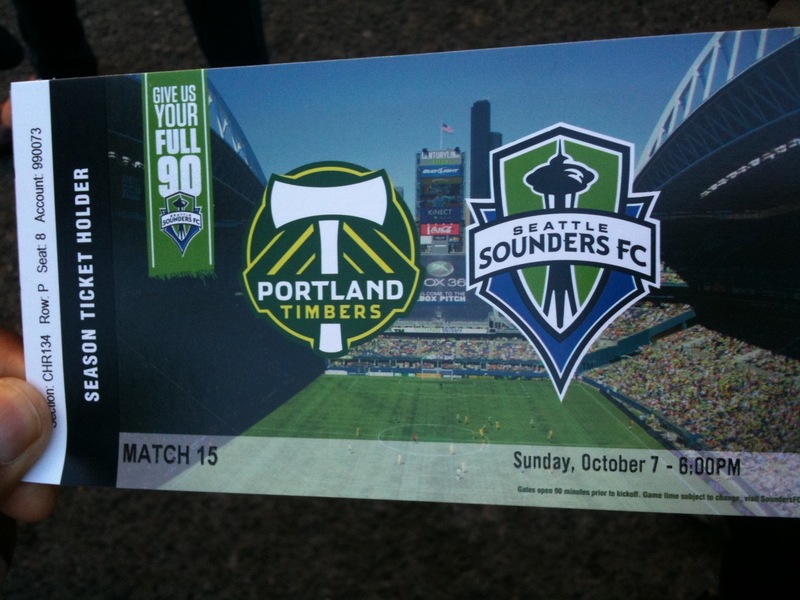 Seattle played RSL in Western Conference semi-finals on 11/2 (Home) and 11/8 (Away). They returned to Seattle late on 11/9 due to snow and flew to LA on 11/10 to play the WC final away leg vs. LA Galaxy on 11/11. They had a 1-week break for the return leg of the WC final in Seattle on 11/18. It might have been much better for Seattle if they got a couple more days between the 2nd leg of the semifinal and the 1st leg of the instead of a minimum break with zero leeway for unforeseen circumstances. DC United faced the same problem due to rescheduling forced Hurricane Sandy. Issues like these can be fixed easily and they should be. Is the winner of the MLS cup the “best team” in MLS? There is no precise answer to this question. I believe that the team with the best regular season record is the best team. However, MLS teams do not play a balanced schedule. Teams play more games against in-conference opponents than teams outside their conference. This weakens the argument for the team with the best regular season record being crowned the best team. If MLS ever moves to a balanced schedule, I believe that the team with the best regular season record should get more recognition and credit. With are without a balanced schedule, I believe that playoffs are here to stay. The onus is upon the teams to figure out a way to peak during playoffs. After all, a seed is just a number; 5th or 1st does not seem to matter during the playoffs. 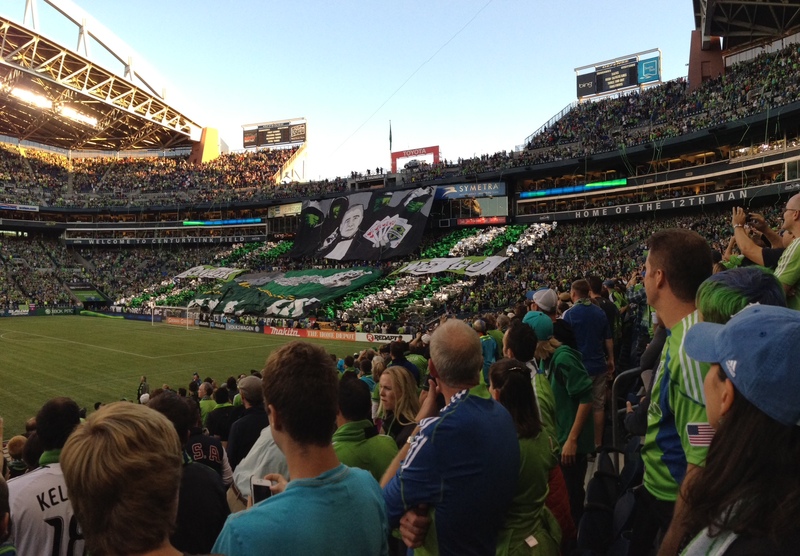 I hope Sounders and Sounders’ fans can experience “that” feeling soon. Does the best team win the “World Series”?